With storms causing havoc at inopportune times, Northern Beaches Tree Service is available 24 hrs day and night for any emergency call out. "I was contacted promptly by Alex from Northern Beaches, accepted his quote and the job completed the next day!" "Alex and his team cut down four trees for me. They did a great job, quickly and cleaned up properly after themselves." 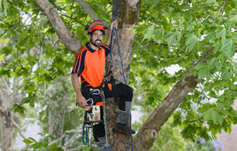 Northern Beaches Tree Services is founded on expert knowledge of trees and the horticultural environment of Sydney. Qualified Arborists are available to give professional advice so as to have your trees and garden growing in the best possible way. We have built our business with a great professional work ethic that prides itself on quality workmanship and customer satisfaction. Northern Beaches Tree Services is located in Terrey Hills and provide tree removals, branch removal, tree pruning and stump grinding up and down the peninsula from Palm Beach to Manly and Mona Vale to St Ives.